Is good cheer an ef­fective weapon against a worldwide epi­dem­ic? 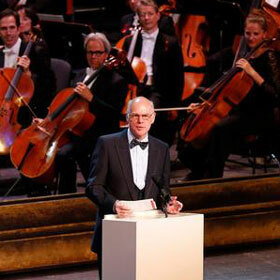 Indeed: op­erat­ic melodies can reduce inhi­bi­tions - including those about con­tribut­ing to a cause - as was demonstrated at this gala event in Bonn. 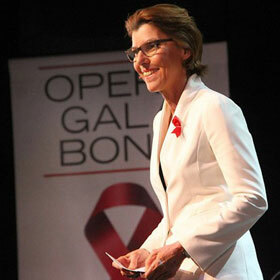 The 5th Opera Gala raised funds for the German Aids Foundation in Bonn. 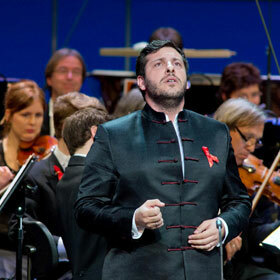 It fea­tured international opera stars who have blocked the day in their datebooks and performed at the gala free of charge, including the Ital­ian tenor Roberto DeBiasio and German sopra­no Si­mone Kermes. 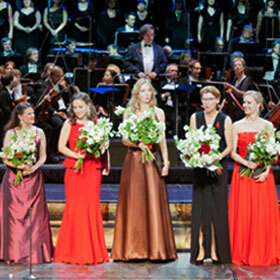 Fur­thermore, the cast included the tenor Andrea Carè, mezzo-sopra­nos Ingeborg Gillebo & Ma­rina Prudenskaya, the sopra­nos Robin Johannsen, Ju­lia Novikova & Chiara Skerath as well as the baritone Da­vide Lu­ciano. They performed works by Ludwig van Beethoven, Gaetano Donizetti, Wolfgang Amadeus Mozart, Gioacch­ino Rossi­ni, Johann Strauß and Giuseppe Verdi.